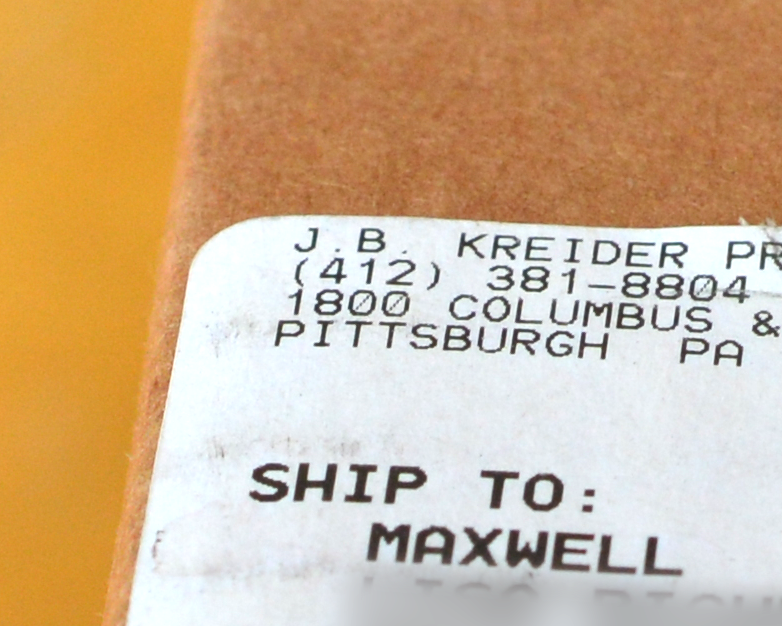 Maxwell: A package arrived the other day and Momma said it was for me. 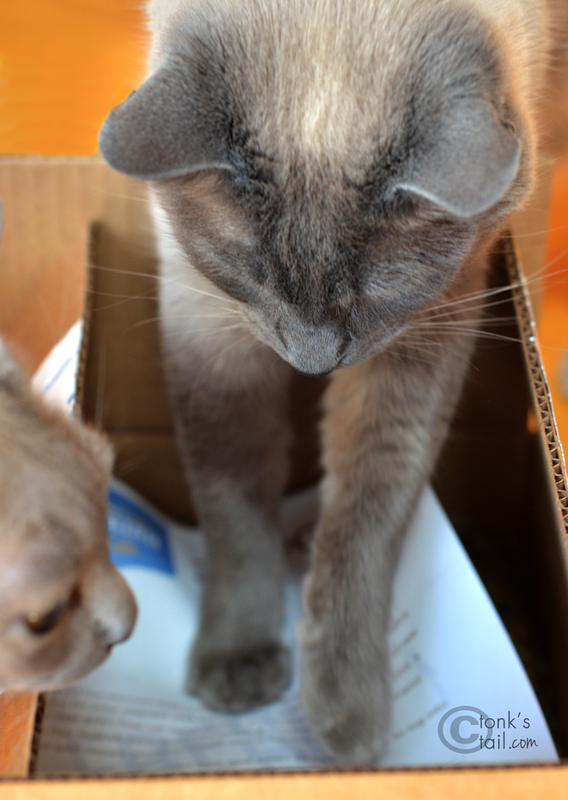 Faraday: Whatcha got there, Maxie? Allie: Yes, Max, what's that delectable smell in here? 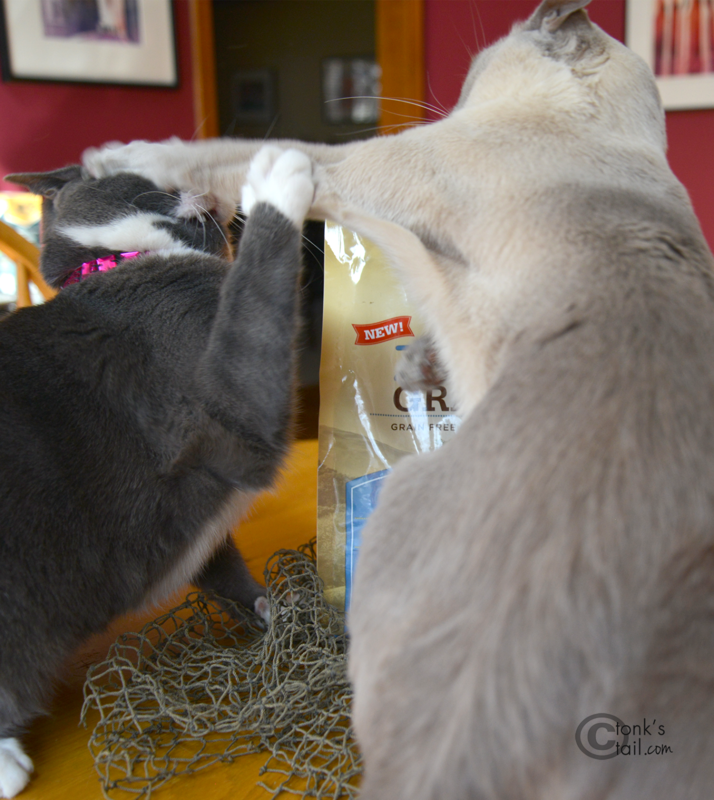 Maxwell: Uh, Allie, it's mine. See? 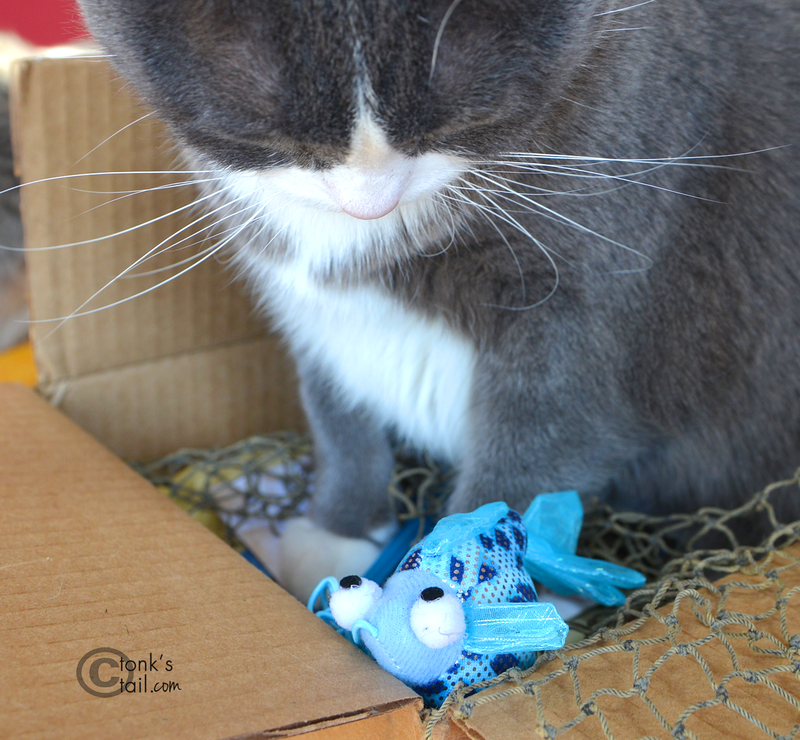 Maxwell: But if you're nice, I might just share the cool fish toy that came with it. 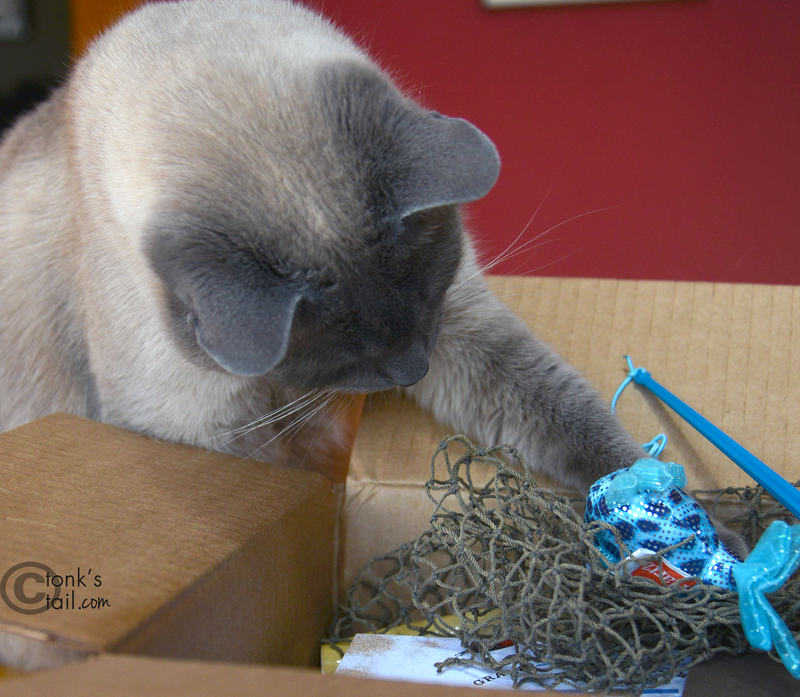 Maxwell: You wouldn't mind, Mister Fish, would you? 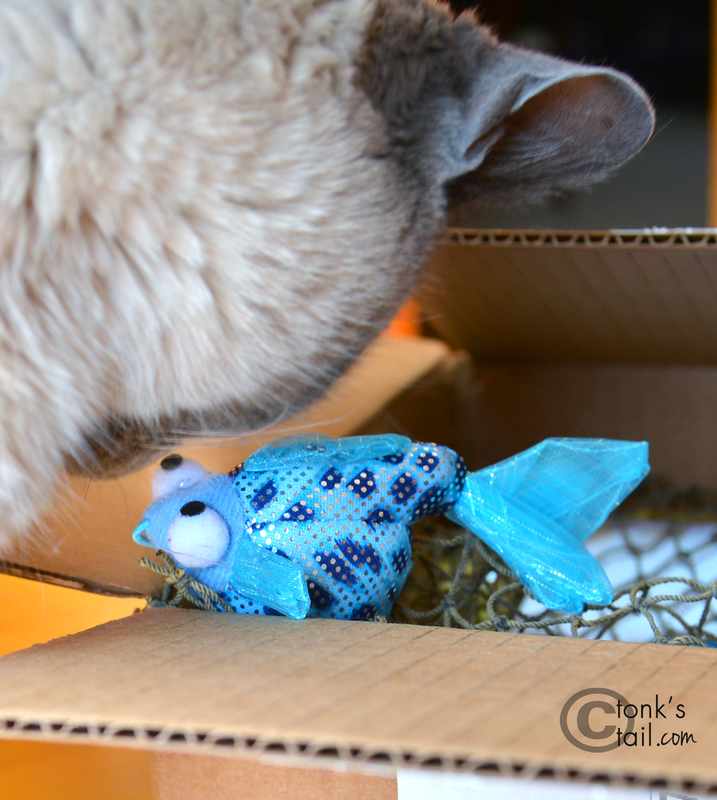 Allie: oh Mister BlueFish, you and I are going to have a lovely time together. 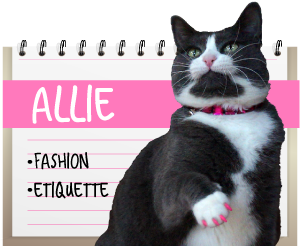 Maxwell: Allie, wha'd you do to him? He looks a little peaked. Allie: Maybe you should give him CPR, Maxie. You know, just in case. I'll just watch your new cat food for you while you're gone. 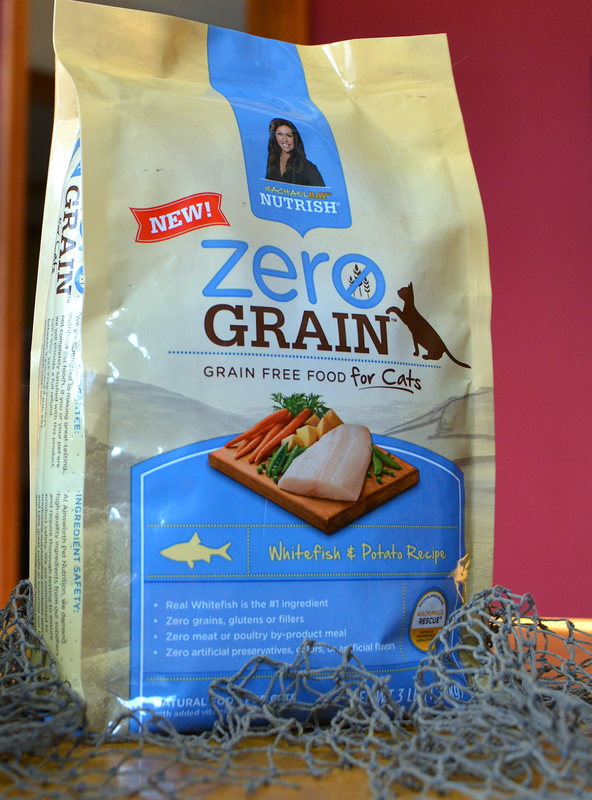 All kidding aside, we agreed to test out this new grain free food from Rachael Ray's Nutrish line because somekitty still has a bit of a hangup with wet food (yes, Maxie, I'm looking at you). 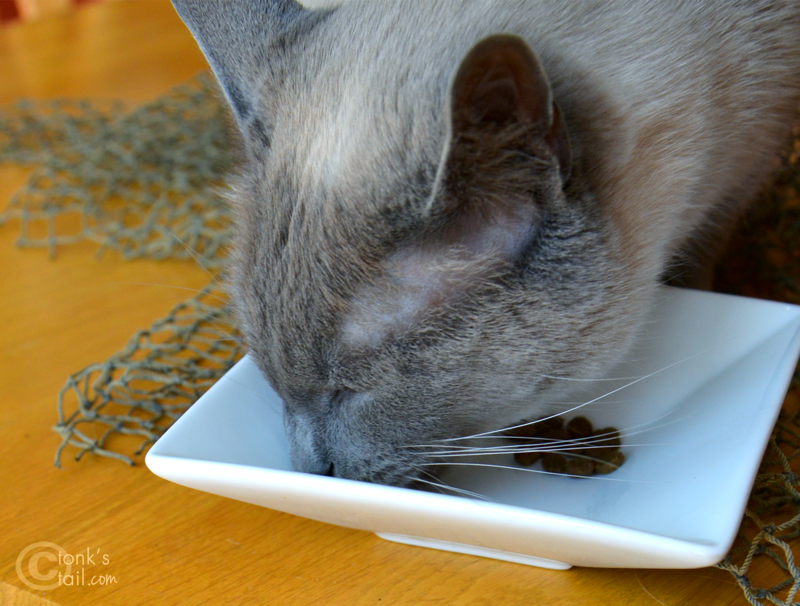 So when I heard that Rachael Ray’s Nutrish line of pet foods was looking for bloggers to help spread the word about their new cat food offering – and the cat food was grain free – I raised my hand. It’s grain free with no glutens, artificial colors, flavors or preservatives. The top three ingredients are a meat protein (in this case, fish). It doesn’t have meat or poultry by-product meal (code for really bad stuff, and you can read more about it here). Dried peas is the 5th ingredient but the other two veggies are far down the line, which is better... but still. 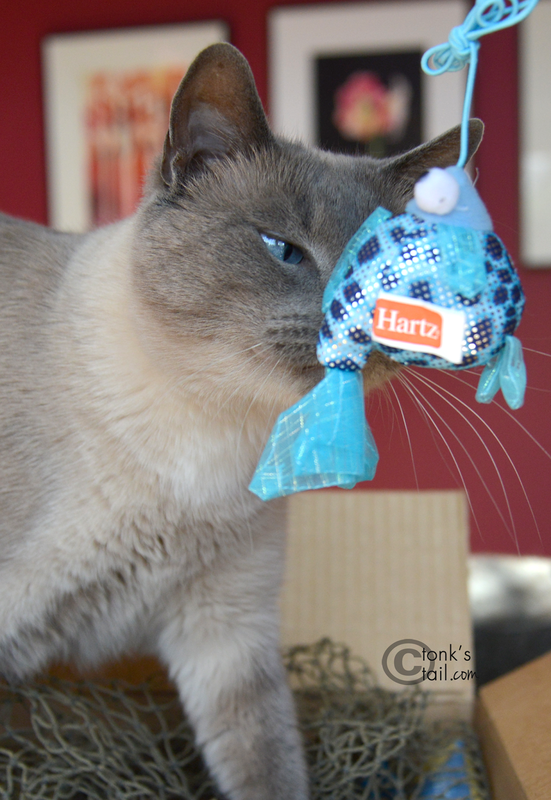 I’d prefer a poultry to fish, as I personally like to limit my cats’ fish intake, but I’m sure that’s coming. 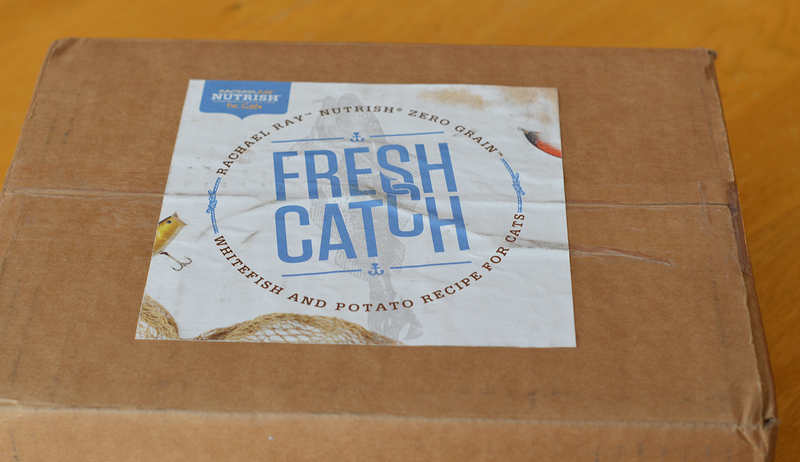 Total Pro Bono plug here: no one paid me to say this, and the Nutrish folks don’t know I’ve been snooping, but Rachael Ray is coming out with a pretty darn awesome wet cat food, too. I tried to buy it locally, but it’s not out in stores yet (though you can buy it online at places like Chewy.com). Seriously, the ingredients list is a thing of beauty: Chicken, Water, and Vegetable Oil – and then you get into things like Potassium Chloride, Taurine, Iron Proteinate, and vitamins. Can you say Obligate Carnivore? I can’t wait for it to arrive in my local grocery store or Target. I’ll totally try this out. Bottom line: Maxwell loved the food. And I now have another flavor in my arsenal, should his finicky side raise its head. And I hope they release other, more poultry based dry flavors soon. Another thing I like about the Nutrish brand is that Rachael’s personal proceeds go toward helping shelter pets. To date, that has translated to more than $9 million for rescue animals. Well done, Rachael, and thank you. Maxwell: Uh momma? I think we have a problem here. EMPTY. 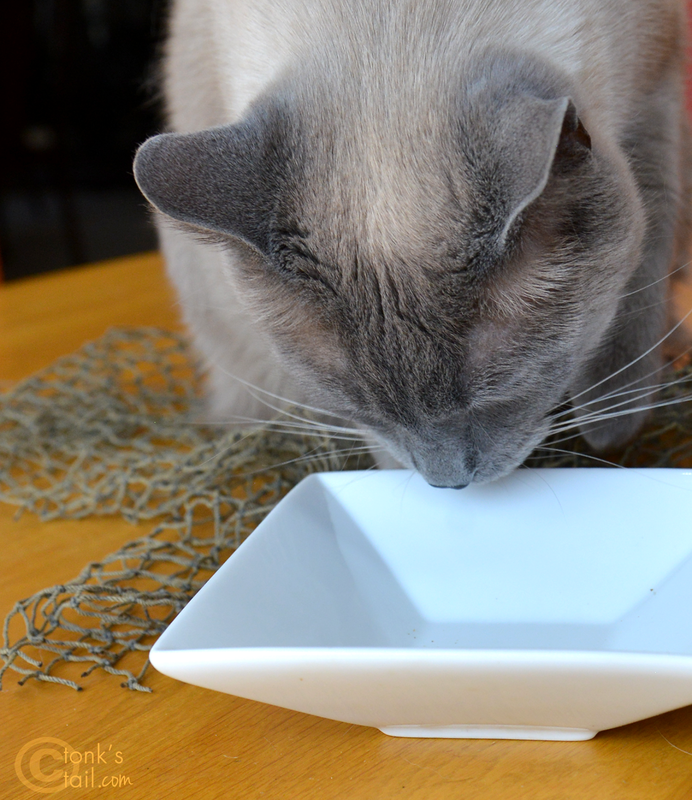 If you want to find out when new cat flavors are released, or want to ask the folks at Nutrish when you can expect to find their wet cat food locally, you can follow them on Twitter or Facebook. 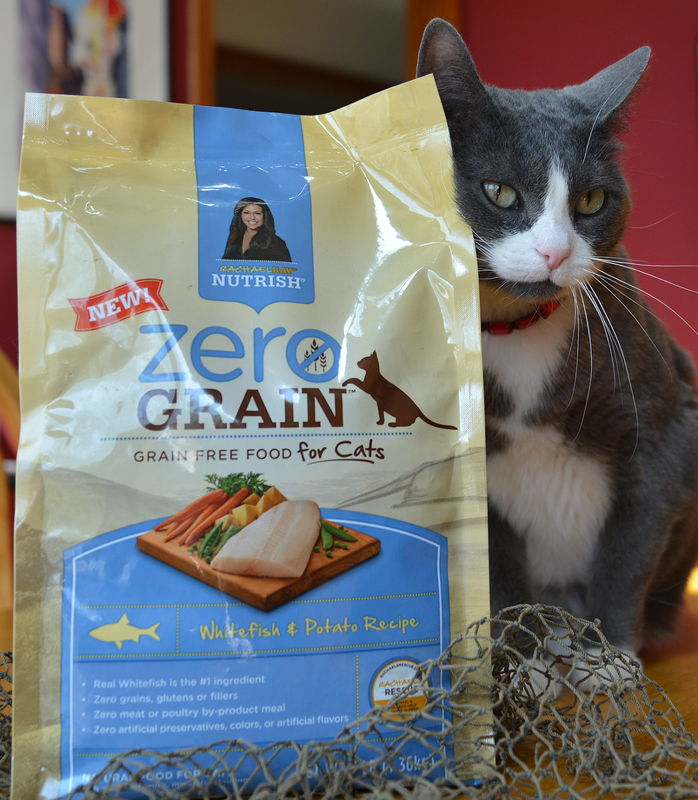 And if you have a cat like Maxie who prefers dry, you can try Rachael Ray Nutrish Zero Grain Whitefish & Potato for $3 off with this coupon. 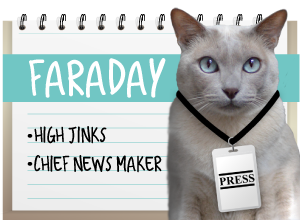 We are being compensated for our review of Rachael Ray Nutrish Zero Grain Cat Food, but A Tonk's Tail only shares information we feel is relevant to our readers. Rachael Ray Nutrish is not responsible for the content of this article. 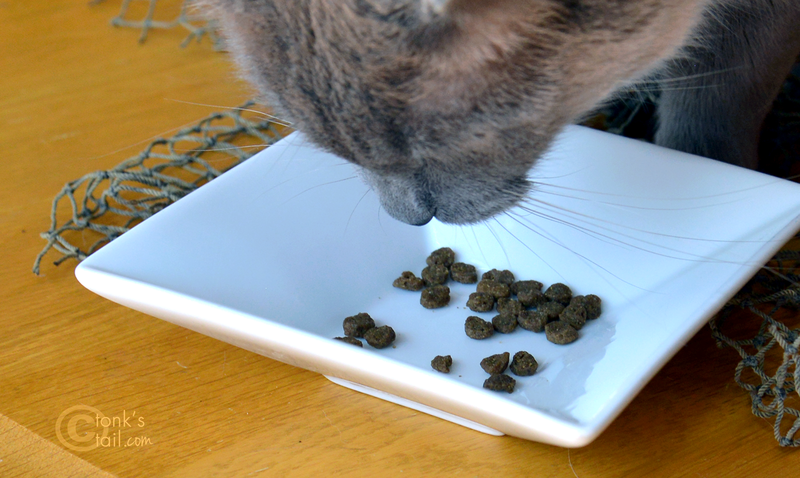 For what it is worth, the peas that are in cat food aren't the delicate green variety that end up on your plate either. They are more of the legume peas that are more full of starch and are more difficult to digest. I'm glad Maxwell liked the food.. and that poor Fishie..
We wonder if we'll see this in Canada? Mom bean might have to do some snooping too. 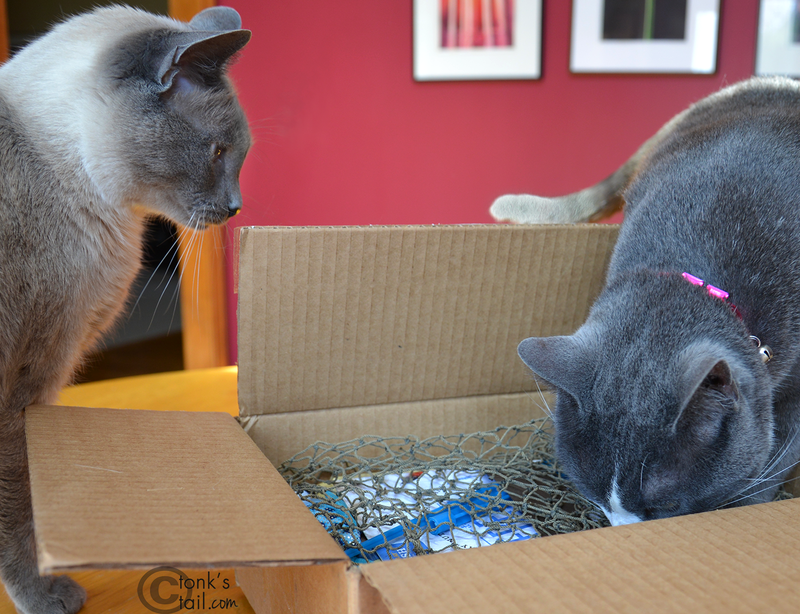 We like fish flavors, especially in our wet food so we thinks we'd like that too. Have a great Monday efurrybody! Wes will has to get some of this on our next US Shopping trip. Wes bought the Rachel Ray zero grain for Dogs last time and Cinnamon LOVES it! Mommy is so dissatisfied with mass produced cat foods, she may start making our food when she makes Cinnamon's. This is a great review! Sounds like it's very healthy food and how great Rachael Ray send her proceeds to help shelter animals. I love the KA-POW picture :-) Have a happy Monday! Oh that looks so nommy!!! I am really looking forward to the canned food coming out! That sounds like some good food. We would definitely be interested in the canned food coming out. Hmm.. the canned food sounds like a delicious option! Glad you enjoyed the food, Maxxie! We were most especially interested in the fishes. We'll be really curious to see the ingredients in the canned food, though we can do without the peas, too. 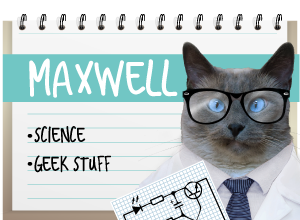 Why Maxwell! I see you have the dreaded EBS* but that's a really fun-looking toy! You know what? I have a pea story. 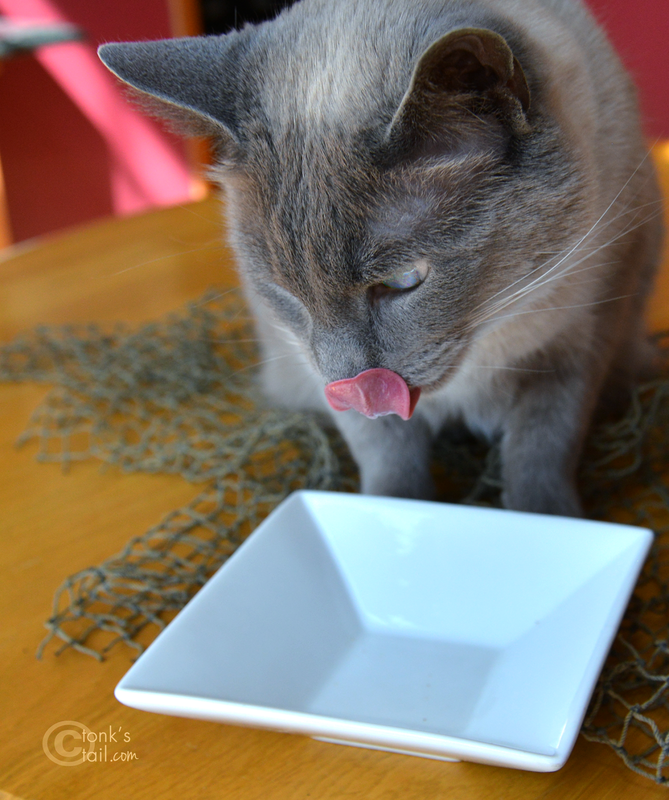 The first time the Human bought me Spot's Stew, she came home to an empty plate with about nine peas on it, ha ha ha! This was one of the most thorough and informative reviews I have ever read. Wish the kitties here could try it, but they are eating CD/Stress formula from Hills.